It’s that magical day of the week, Friday, and that means that it’s time to take a few moments and break down the Microsoft news of the last 7 days. What went well, what went poorly, and what came out of nowhere? We have all of that and more. The big day finally came in the US as Windows Phone 7 made its debut. In case you missed all the action, a total of four different phones could be found around the nation. The Dell Venue Pro was to be discovered only at Microsoft stores (more on that later), but the other handsets were generally easy to find. Lines were strong, but that may have just been for the free concert tickets (again, more on that later), but people did show up. 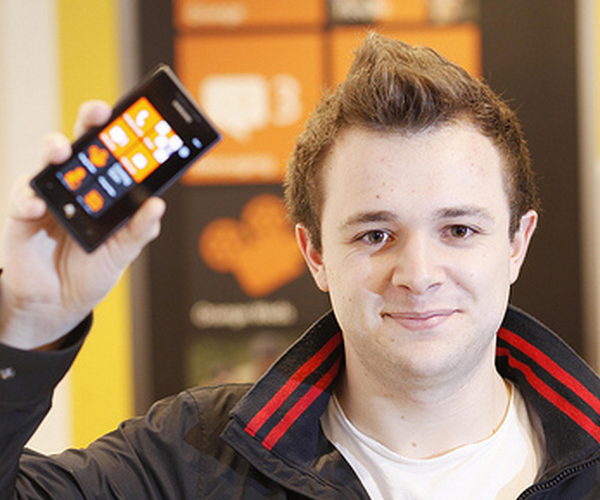 We asked the question: is WP7 a hit? Day one sales did see Amazon running out of certain units, but a later estimate pegged the day at a mere 40,000 units moved on Monday. Whether or not that was what Microsoft had in mind, the number was called soft by nearly everyone. Later in the week, Dell Venue Pros began to have WiFi issues, and some batteries were found to be engineering samples (whoops), but all in all the week went ‘fine’ for Windows Phone 7. Not stellar, not poorly, it looks like Microsoft is back in the mobile game. Just breaking today was news that WP7 handsets may be on the verge of jailbreaking, and there have been reports that sometimes app source code can be viewed without permission. 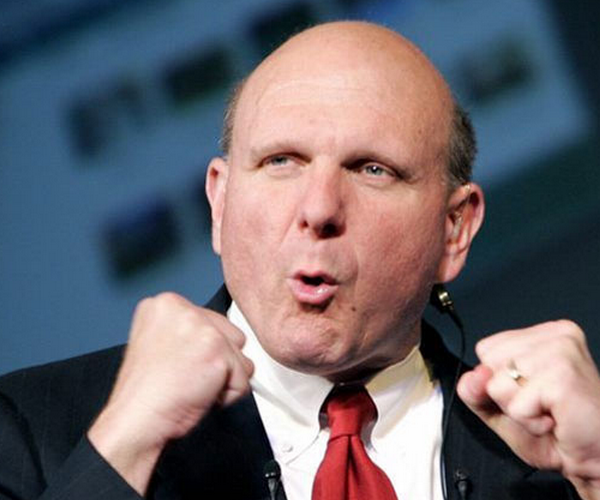 We all love a good slap fight, and it’s all the better when between Microsoft and Apple, right? Poking Apple in the eye, Microsoft opened a massive 8,600 square feet store right across from an Apple store in the Mall of America. Oh, and someone named Kelly Clarkson played a set, we’re going to look her up on Wikipedia and get back to you. Speaking of concerts, Microsoft seems to love holding them. To celebrate and promote the launch of Windows Phone 7, Microsoft had two concerts, one with Katy Perry and one with Maroon 5. At her recent concert sponsored by Microsoft, Katy Perry was not pleased when she learned that there was not an open bar for the attendees. According to multiple reports, she told the audience, “It’s Microsoft! Don’t they own half the world?” Ah yes Katy, indeed they do, or at least half the computing world. Wait, really? Yes, that actually happened. It turns out that as the event was for all-ages, Microsoft could not spill liquor on the attendees, to everyone’s sadness. Still, the concert was good, right? Ok, can you actually name Katy Perry song? We can’t either. 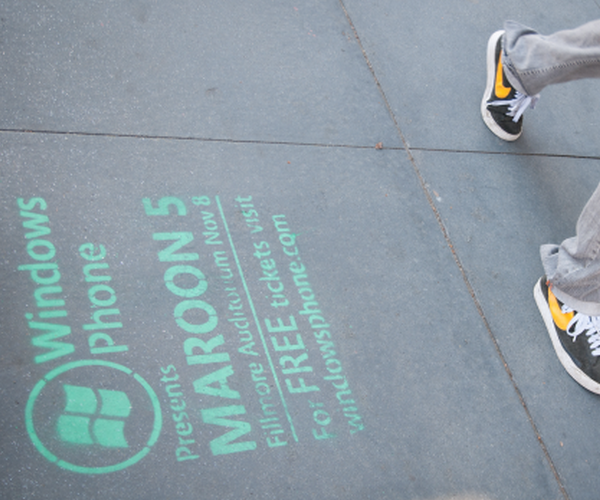 Remember that chalk work that Microsoft piled on SF and NYC? Turns out San Francisco did not appreciate the work, and called the acts illegal. Oh well, it’s not like Microsoft has any room leftover in their budget for promotions, right? We’re joking, of course they do. Anyway, after a good rain the chalk wasn’t moving, so Ballmer might have to dispatch some interns with scrub brushes to do the task. Back to a more serious topic, developer interest in the new phone platform seems to be strong. A survey showed that some 20% of developers are expecting to add WP7 to their development rolls next year. There is something to be said for the WP7, it is so new that there is very little competition among developers for audience attention. Oh, and if you want to browse the apps in the store, Bing it. The next week should be exciting, as we watch the number of apps for WP7 grow, monitor IE9 market share, and begin to prepare for Silverlight 2.2. We have two eyes fixed on Microsoft, so strap yourselves in because next week is just around the corner.